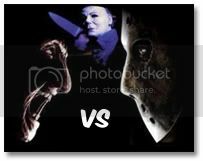 For the next 8 days, leading up to the release of the Friday The 13th remake, there’s going to be a Freddy vs. Jason vs. Michael movie showdown. Ok, I know that in round one we don’t even really deal with Jason – and I have to admit, his one appearance in the original film is very scary … hell, it was the only time I even CARED out of the whole 90 minutes – but still, ANY villain that sends his mom to do his dirty work is a complete tool. This film is fodder for MST3K for sure, and even though I really loved it, thought it was a total silly blast, it has to be the least scary movie ever made. The image of Mrs. Voorhees struggled to walk upright in ankle-deep sand still makes me smile. This franchise is ten films long (ten and a half if you count Freddy vs. Jason) and that stands for something. But I better see a hockey mask soon or there’s going to be an early disqualification. Worst Moment: The strip Monopoly game gets interrupted. Now, I have to give props to Michael for being the slasher entrepreneur. He was the first with a mask, the first to be supernatural, the first to leer at half-naked girls. But still – does he have to wait SO LONG to make a kill? He never even does anything scary until halfway through the movie! Loomis talks him up like he’s Satan, but I had to take his word for it until FINALLY he plugged that kid like the crowning jewel in a moth collection. Jamie Lee Curtis’s performance carries this film through the first half, and when it finally gets going Michael really seems like a badass … I just wish the kids he killed didn’t die with bug-eyed cheesiness. But then, in the end, he’s stopped TWICE but a high school girl armed with a sowing needle and a clothes hangar. And while the symbolism isn’t lost on me, I still wish my villain could find the strength to swiftly kick in a breakaway closet door. Scariest Moment: After he pins the boy to the wall and stares at him, cocking his head from side to side. Worst Moment: Showing his face. Easily the most sadistic and creepy of the first round. He doesn’t have the swiftness of Mrs. Voorhees or the brute strength of Michael Myers, but damn if he isn’t a slinking, devious, gollum-esque pedo-monster. I had forgotten how quickly this film sets up his character (making the glove) and delves into the twisted dream motif (stretchy arms anyone?). Despite some clunky dialog and a few weak performances, this film holds up the best today, and Freddy honestly scared the CRAP out of me. Scariest Moment: Tina’s ceiling death scene. Worst Moment: The Home Alone sequence. Unintentionally Funny Moment: The slapstick sledge hammer in the stomach gag. 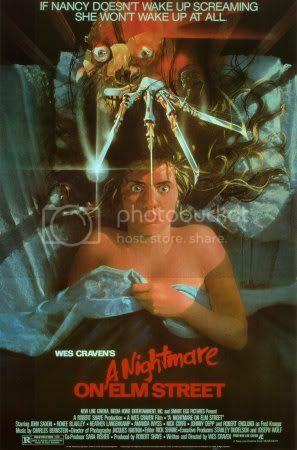 While all films were fun, only Nightmare was consistently scary – but Jason has the most potential for a last minute win. Unlike later rounds, I actually like all the contenders in this one. But for very different reasons. Halloween I’ve watched the most, Nightmare gave me the most nightmares, and Friday The 13th has a real crappy charm to it. Therefore, score draw. I wrote these a while ago so re-reading is a blast. Does everyone know that part I’m talking about with Donald Pleasance screaming “get off my porch!” in the first Halloween? I spit soda all over the place it was so funny. I really do like all these films as well … mostly. Looks like I’ll need to watch the whole thing again. I do recall the scene where he momentarily forgets his own name. The way he generally talks and acts, sweats and stares, it makes Michael Myers seem quite normal by comparison. Outrage! The clear winner is Mike Myers on the basis of John Carpenter’s score alone. Did you know he wrote that himself? Did you know he based it on a rhythm exercise his father had taught him? Did you know it’s only slightly more impressive than moving your fingers over a keyboard while playing the “demo” on steel drums? I guess it would be a draw between all three.None of them seem like they can die.But come on,Freddy wins? really? I hope I don’t hurt anyones feelings but let’s face the facts about Fred, Jason and michael. 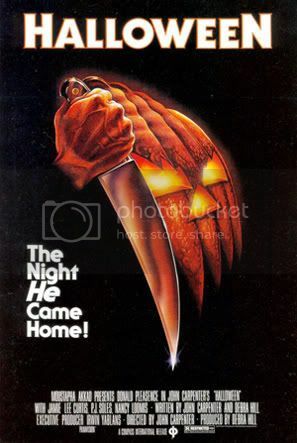 The Halloween series was obviously the weakest of the 3 BUT the remake is definitely more impressive than the other 2. 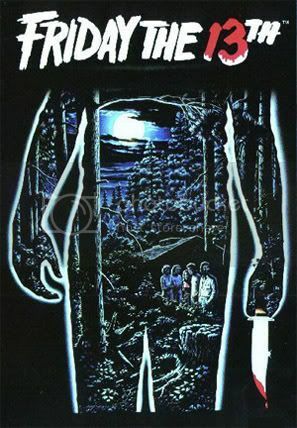 I admittedly, am a Voorhees fan and LOVE the remake. Faster and smarter. Beautiful. Freddy’s remake was very inventful and (for the true fan) CHOCK FULL of homages to every freddy film. (long live Englund). Wanting to see a film with any combination of these characters going at one another is ultimate but when you think about the REALITY of this fiction, you CAN’T kill Krueger. He’s not real. Jason can die, as per part 4. Michael, same as voorhees. An angry guy walking around killing people, can also die. How the hell do you kill someone that keeps coming back in dreams when he is killed? The best you can hope for is that he doesn’t come back in YOUR lifetime. Trust me when I say that I don’t like this but, Meyers and Voorhees cannot beat Freddy. That hurt to say. i need to know when they making Jason vs Michael Myers vs Freddy.